The post included book excerpts and author interview clips. With tomorrow being Memorial Day, I wanted to feature a work that memorably speaks to our national story. One book emerged as an easy choice: Team of Rivals: The Political Genius of Abraham Lincoln. 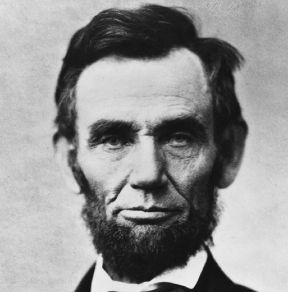 Written by Pulitzer Prize-winning author and acclaimed historian Doris Kearns Goodwin, the exhaustively researched biography has been called “a brilliant portrayal of our best president” and “the bible of the Civil War era and of Abraham Lincoln.” I couldn’t agree more. This work offers a rare glimpse into our 16th president, showing Lincoln’s ability to put himself in the place of other men, to experience what they were feeling, and to understand their motives and desires. The new president deliberately surrounded himself with individuals from differing political leanings and ideologies. In the process, he earned the respect and devotion of his former foes. 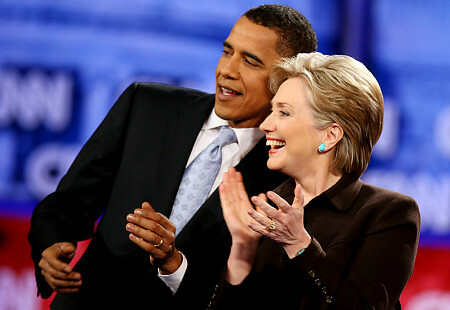 The popular press took note of President Obama taking a cue from his presidential idol when he embraced former political foe Hillary Rodham Clinton as his Secretary of State. Business leaders are constantly speaking to the need for creativity and specifically, diverse ideas, to drive success. Clearly, Lincoln intuitively knew a leadership principle that offers lasting lessons to our often-polarized business and political world. 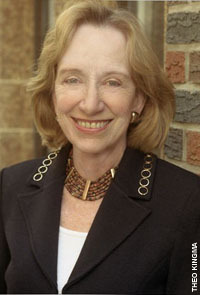 Watch Jim Heath’s interview with Kearns Goodwin about Team of Rivals. During the interview, she talks about why Lincoln is her favorite president and her view of “Lincoln,” Steven Spielberg’s upcoming film adaptation of her book. Spielberg pledges that the film will be released after the 2012 presidential election. Daniel Day-Lewis will play the lead role. Other cast members include Sally Fields, Joseph Gordon-Levitt, and Tommy Lee Jones. Thanks to her painstaking biography, the political life of our most remarkable president is clearly illumined. 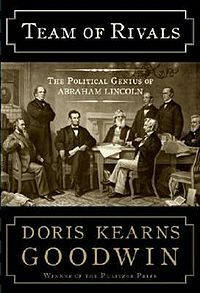 This entry was posted in Book Reviews and tagged Abraham Lincoln, book review, Doris Kearns Goodwin, Team of Rivals on May 28, 2012 by AnneWainscott.